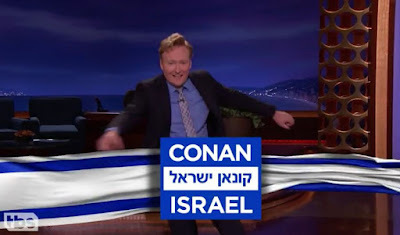 Late night talk show host Conan O'Brien is planning a Conan Without Borders travel show on Israel and will be filming it this week. We'll be following his antics as he boards an El Al plane and brings his comedy to Israel. Here is the video clip of his show where he announces his plans for the prime time special to be released in September. We'll be sharing some of his funny videos with you over the next few weeks.